Human rights is covered by our strategic objective of ‘Instil a high-performance culture’, and the Intellectual, Social/relationship and Human capitals. The group’s Code of Ethics includes; Obey the law, Respect others; Be fair. 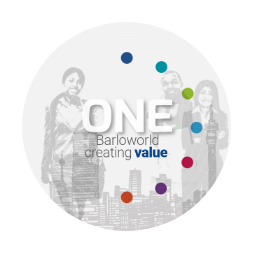 Barloworld’s Worldwide Code of Conduct sets out the group’s five core values. It determines how our aspirations and values are translated into actions and behaviours. Our code of conduct reminds us of the standards to which employees and the group are accountable. 'We build outstanding long-term relationships with our principals, suppliers and customers' "…we expect suppliers to comply with the sound business practices we embrace, follow the law and conduct activities in a manner that respects human rights…"
'We are committed to fair labour practices’which includes not tolerating any form of forced or compulsory labour and prohibition on child labour, as well as recognising the right of freedom of association. Human rights considerations form part of the group’s due diligence process, predominantly through the assessment of employment and labour practices for all investment opportunities. The group’s modus operandi with regard to investments is one where it generally acquires a business in its entirety, or a controlling stake thereof. Workplace related human rights includes health and safety, development, prohibiting unfair discrimination, freedom of association and collective bargaining arrangements, and prohibiting child and forced labour. These are covered in the human resources section of the due diligence process for all new investments opportunities. If the transaction proceeds, any gaps identified are then addressed in terms of the group’s values, Worldwide Code of Conduct, compliance with applicable legislation, including those frameworks to which it is a signatory. All agreements specifically include clauses covering employees. The group expects that its supply chains conform to its values and suppliers rated as high-risk are expected to sign the supplier and service provider code of conduct. Evidence of non-compliance would result in appropriate action being taken according to the circumstances.